Scream Factory continue to bring horror home to the masses and in May they will release two 1970's rat movies on dual format DVD and Blu-ray. 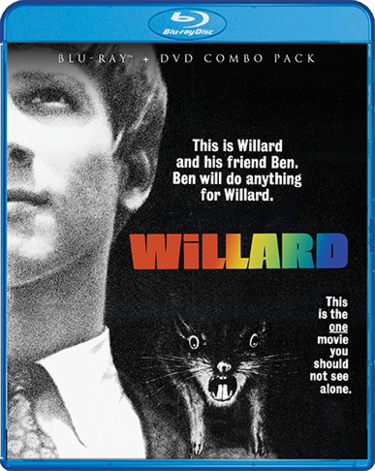 First up is the 1971 film WILLARD which has a release date of 16th May 2017. PRE-ORDER from Shout Factory and get it 2 weeks before its official release date. Extras on both discs are not announced yet but we will bring you news on this when we know. 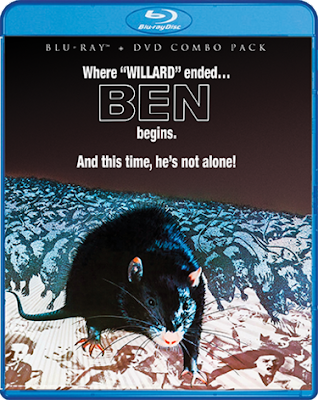 Continuing the rat theme, BEN the 1972 sequel to WILLARD also has a release date of 16th May 2017. PRE-ORDER from Shout Factory and get it 2 weeks before its official release date. With an Oscar®-nominated* theme song, Ben "presents some genuinely creepy scenes… [and] manages to deliver the goods expected of the genre while getting the audience all misty-eyed…" (TV Guide). Put your feet up – way up – and watch: Ben is an absolute must for everyone who likes a good scare! *1972: Best Music, Original Song: "Ben's Song"
Just what we need at Haunted Barn to start our RATFEST!! !